“ ...When the evangelist could read about Ephesus in the Akasha Record, could read that for which his heart thirsted, [he found] the right form in which to clothe what he wanted to say to humanity concerning the mystery of the beginning of the world.” - Rudolf Steiner, Mystery Centers. “Thus we show how Eabani [from The Epic of Gilgamesh], in the incarnation between the life as Eabani and the life as Aristotle, was able under the influence of the ancient Mystery teachings, into which forces streamed from the supersensible worlds, to imbibe the principles which in certain Mystery schools were essential to the further development of the human soul... In such Mystery schools the feelings and impulses paramountly awakened were those capable of eradicating every trace of egoism from the soul... In the Mysteries to which I am here referring, the soul had to learn to feel pity and compassion for everything human, for everything cosmic – compassion born from the overcoming of the physical plane.” - Occult History. The life between Eabani and Aristotle was that of Cratylus. Gilgamesh, prior to the life as Alexander, returned as a woman whose name was Artemusia or Mysa. Rudolf Steiner revealed this in a written note to Ita Wegman not long before his death. - see Note 1. It is clear in Plato's dialogue, titled Cratylus, that this enigmatic figure is a Heraclitean philosopher, and this fact is also pointed out by Aristotle in Metaphysics, Section 4: “...it was this belief that blossomed into the most extreme of the views mentioned, that of the professed Heracliteans, such as was held by Cratylus, who finally did not think it right to say anything but only moved his finger, and criticized Heraclitus for saying that it is impossible to step twice into the same river, for he thought one could not do it even once.” Enormous changes in the evolution of human consciousness had taken place in the course of one hundred years, from the time of Cratylus to that of Aristotle, and thus Aristotle states that the philosophy and the way of life of Cratylus and the Heracliteans are extreme, as Plato also points out in his dialogue. “...Many of the ancient, holy secrets which proclaimed the connection of the human soul with the divine-spiritual worlds were preserved in the Mysteries of Diana of Ephesus and in the Ephesian temple. A great deal in these Mysteries were no longer comprehensible in an age when human personality had come into prominence.” - Occult History. Certain activities and aims within this Mystery school, and others in Greece, were also kept strictly secret, withheld from the uninitiated and the common people, and this gave rise to misunderstandings, resentments, jealousies and hostilities. Plato gives voice to these growing problems in Cratylus, through the person of Hermogenes, and also in his Theaetetus, through the person of Theodorus. According to The Secret Doctrine the Essenes drew from the Buddhist, Zoroastrian and Chaldean philosophies and believed in reincarnation. This statement, the ancient origins of the Essenes, and what is known of Heraclitus and Cratylus, point strongly to the probability that Heraclitus and Cratylus were Essenes. The name Artemusia or Mysa suggests a life of virtue and purity, development of character, and cleansing and healing of the soul. Rudolf Steiner most often refers to Artemis as Diana, perhaps due to a preference, in the German language, for the sounds of the vowels. Similarly, he preferred to use the later Akkadian name for the Sumerian Enkidu: Eabani. 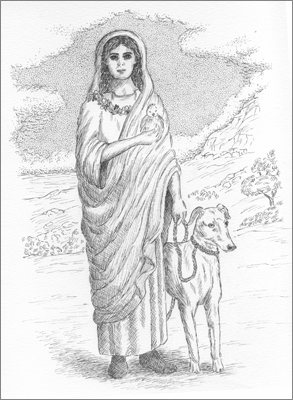 Diana or De-ana refers to the goddess Anna. Nanna was the Babylonian name for the Moon, and Inanna was Venus. The principal historic source regarding Heraclitus is Diogenes Laertius, who wrote biographies of the Greek philosophers, Lives and Opinions of Eminent Philosophers, in the first half of the third century AD. However, this was almost eight centuries after the time period of Heraclitus. Rudolf Steiner certainly read Diogenes and is generally in agreement with him, as can be ascertained from his comments on Heraclitus in Christianity as Mystical Fact, quoted below. The dates most often given for Heraclitus' life, and given by Rudolf Steiner in the above book, are 535-475 BC. Diogenes wrote that Heraclitus “flourished in the sixty-ninth Olympiad,” which means that he was in the prime of life at that time, around 504-501 BC. He was born into a noble or aristocratic family in Ephesus, and the family, according to Strabo, was descended from Androclus, the founder and first king of Ephesus. Ephesus was then part of Ionia or the “Ionian League” of cities on the west coast of Asia Minor (present-day Turkey) near the Aegean Sea. Regarding the fact that “Heraclitus yielded to his brother the title and privileges of royalty,” Diogenes gives his source as Successions, written by Antisthenes. The area of Ephesus had a warm and pleasant climate, with hills, mountains, sea, and fertile valleys. The fresh mountain waters of the Cayster River flowed into the Aegean Sea and mixed with its salt water. In light of ancient beliefs regarding the significance of fresh or “sweet” water and salt water, the placement of the temple by the Cayster River is meaningful. Ephesus was a prosperous city with a busy harbor and there would have been ships or caravans arriving regularly from distant ports and lands, including Egypt, Arabia, Mesopotamia and faraway India. Diogenes wrote that King Darius I of Persia (c. 522-486 BC) once sent a letter to Heraclitus, inviting him to the royal palace for discourse, and offering him every kind of distinction and honor, but Heraclitus wrote back to the king that he would not go to Persia since he was quite content with a little. “There is a book of his extant, which is about nature generally, and it is divided into three discourses; one on the Universe; one on Politics; and one on Theology. And he deposited this book in the temple of Diana, as some authors report; having written it intentionally in an obscure style in order that only those who were able men might comprehend it, that it might not be exposed to ridicule at the hands of the common people.” But Diogenes also writes that Heraclitus was at times brilliant and clear, and that his conciseness and dignity were incomparable. Of the space that surrounds us, wrote Diogenes, Heraclitus does not say, but states that “there are vessels in it, turned with their hollow part towards us; in which all the bright evaporations are collected, and form flames, which are the stars; and that the brightest of these flames, and the hottest, is the light of the sun; for that all the other stars are farther off from the earth...” This passage, and Heraclitus' quotations on the element of fire, are suggestive of the much later alchemical teachings, and of Rosicrucianism, which began in the thirteenth century. What could be given from the teachings of actual inner, spiritual, transformative processes had to be as guarded and secretive in the thirteenth century as in the time of Heraclitus, and was as badly misunderstood. In fact many of these teachings were not made public through spiritual science and Anthroposophy until the end of the dark age or Kali Yuga, in 1899. The new reign of the Archangel Michael as Time Spirit began in 1879. While Heraclitus lived in a hut in the country, he could not have been a hermit or a misanthrope, but probably stood out as a solitary, enigmatic figure and may have been generally disagreeable and aloof. As a teacher, initiate, and one of the sages of the time, he would have participated fully in the life and affairs of Ephesus. The account of his death in Diogenes' Lives, which Diogenes drew from Hermippus, may have some elements of truth, but has certainly been misunderstood. The cleansing and purification of the body with cow dung is a very ancient Hindu ritual, the cow a living symbol of Mother Earth. Rudolf Steiner, quoted below, refers to the role of the sages in the Greco-Persian wars. At the turn of the sixth to the fifth century BC the Persians began to invade the Greek mainlands. The Greco-Persian wars were instigated when the Ionians, revolting against Persian rule, engaged in the Battle of Ephesus in 498 BC. From Rudolf Steiner: “...In the age of the Persian wars we can clearly perceive the effects of what the Greek character had received from the old temple-wisdom. For in these Persian wars we see how the heroes of Greece, aflame with enthusiasm for the heritage received from their forefathers, fling themselves against the stream which, as an ebbing stream from the East, is surging towards them. The significance of their violent resistance, when the treasures of the temple-wisdom, when the teachers of the ancient Greek Mysteries were fighting in the souls of the Greek heroes in the battles against the Persians, against the waning culture of the East... what the Greeks achieved then contained the seed of all later developments in European civilization up to our own times.”- Occult History. What was this “waning culture of the East” from which the best qualities and most appropriate teachings were extracted for the new age of Aries, the Greco-Roman age? The dates given by spiritual science for this fourth age are from 747 BC to 1413 AD. The Persians had become a scattered group of Indo-European tribes, but rose to power during the reign of Cyrus the Great (c. 559-530 BC), and also Darius I, when the Persian Empire became one of the largest and most powerful in world history. Having defeated the Babylonians in 539 BC, they controlled all of Mesopotamia and parts of Thrace, Macedon and Egypt, as well as Lydia, Media, and Bactria (present-day Afghanistan), to the border of northwestern India (present-day Pakistan) at the Indus River. Darius I followed Zoroastrianism but was tolerant of non-Persian faiths and recognized various pantheons of gods. The majority of the empire's inhabitants were polytheists. The best-known symbol of Zoroastrianism is the winged disc or sun, known as faravahar. Prior to the reign of Darius I, the symbol did not have a human form above the wings, and in very early depictions of this human form the face is thought to be that of Darius. The Zoroastrianism of this time would have been an “ebbing stream” of a waning culture, a corrupted form of what had been appropriate for the second cultural age, called the Persian age, dating from 5067 to 2907 BC. The Greek sages wanted to retain the eternal truths of these beliefs, as well as the content of the Chaldean and other Mysteries (i.e., Cybele and Attis), yet discard what was inappropriate for the new age of Aries, for the “weaving of the ego in the ego,” and the preparation for the Descent of Christ. The Hindu Vedas, called sruti, or “what is heard,” would have been retained and taught in the Ephesian Mysteries, for these are related to the Word. In John's Revelation 2, the Angel of the church in Ephesus is a reference to the first cultural age, the Indian age. - see Emil Bock, The Apocalypse of Saint John. The Persians were defeated in the Battle of Marathon of 490 BC, although they greatly outnumbered the Greek forces. The Athenians had on their side the general Miltiades, who had first-hand experience of Persian military tactics. During this battle, 6400 men of the Persian infantry were killed at a cost of 192 Athenian dead. However, the conflicts and wars continued despite this victory. The last significant Athenian victory was the Battle of Plataea of 479 BC. “The Roman civilization which followed the Greek, and everything else that contributed to the further development of the European peoples, would not have come about if the Greeks had not cleared the way for the further development of eastern culture and beaten back the Persians and what was associated with them. In this way beating back the Asians was a means of purifying what had been created in Asia.” - Manifestations of Karma. As alluded to, the culture for the new Greco-Roman age was established by the Seven Sages of Greece. The age of Aries, the zodiacal Ram, signifying the head, had replaced Taurus, the Bull. Aries was the age of the development of reason and thinking and the emergence of the “intellectual soul,” of personality and individuality. The Seven Sages were Thales of Miletus, Solon of Athens, Pitticus of Mytilene, Bias of Priene, Cleobulus of Lindus, Myson of Chen, and Chilon of Sparta. Like Heraclitus later, the sages were fully involved in the life of the “state” and with every aspect of human life. According to Aristotle in The Athenian Constitution, Solon became a mediator between two hostile parties in Athens, drew up a democratic constitution, enacted new laws, cancelled debts, arranged elections to various offices, etc. Finally, beset by people and their problems, he went to Egypt, not planning to return to Athens for ten years. “The Greeks spoke of their supreme leaders as the Seven Sages, thus indicating that the nature of those who were once Sons of the Gods had now become purely and essentially human.” – Reference 3. According to legend, the Seven Sages passed a golden tripod among themselves, until one of them dedicated it to Apollo, held to be the wisest of all. The golden tripod, sometimes set on a bronze serpent or three entwined or spiraling serpents, became the oracular seat of Apollo Pythias. Could this golden tripod bear a resemblance to the “Golden Triangle” from “The Temple Legend?” The three sides of the triangle signify the Holy Trinity, the three future embodiments of planet Earth, named Jupiter, Venus and Vulcan, and the three higher bodies of humanity: Manas or Spirit Self, Buddhi or Life Spirit, and Atma or Spirit Man. In one of the quotations below, Heraclitus refers to the constellation of Ursa Major, the greater “She-Bear.” He sees it as the boundary line of evening and morning, or as situated between night and day. - see Note 2. “Opposite the Bear is the boundary of the bright Zeus.” This constellation is circumpolar and can be viewed all year long. The Warder or Guardian opposite the Bear or arktos (signifying fertility and reproduction) is Arcturus, whose name may have been rendered later as Arthur. King Arthur is in fact associated with the Bear. In India, the seven stars of this constellation signified the seven Holy Rishis, and Heraclitus would have perceived in them the Seven Sages. Of the teachings of Heraclitus only fragments have remained, and his book, titled On Nature, has not survived. “Strangely many of the cited fragments come from Christian sources, bent on disproving or ridiculing Heraclitus' words, a bad effort which has the good effect of giving us a few more of Heraclitus' precious insights.” - William Harris, Translator. Unfortunately, the early Christians may have succeeded in destroying all remaining copies of On Nature. Below are translations of some of Heraclitus' fragments. From the second quotation, and a few others, it is apparent that Heraclitus was not at ease with the emergence of individual personality and the ego. In The Riddles of Philosophy, Rudolf Steiner wrote that Heraclitus was opposed to democracy. “The world conception of Heraclitus will, in an unbiased contemplation, be felt directly as a manifestation of his choleric inner life. The feeling that is expressed in such a choleric temperament finds itself akin to the consuming activity of fire. It does not live in the restful calm of 'being,' it feels itself as one with eternal 'becoming.' Such a soul feels stationary existence to be an absurdity.” - The Riddles of Philosophy. The meaning of the name Heraclitus or Herakleitos is “Glory (kleitos) of Hera.” Hera means mistress to Heros, the Master, and is likely related to the Bull of the third cultural age, as Hera was sometimes depicted as a young cow or heifer and was called the cow-eyed or the “ox-eyed Queen of Heaven.” She was the wife and sister of Zeus, and was the goddess of marriage and childbirth. Her fruit and symbol is the pomegranate. She bears some resemblance to Hathor, the ancient Egyptian maternal goddess who is associated with cattle. The cow, a docile and entirely giving creature, signifies fertility within the feminine element and within the earth. Petros Doumos has offered the following interpretation of the name Cratylus: “Kratylos seems to be composed of a main word, Kratt, with possibly the two t's contracting into one. The verb 'kratein' means to rule or hold, and 'kratos' indicates power, as in a state or country. So kratos could indicate the possession of some type of power. 'Tylos' as suffix means a lump or a knot, as on a stick for example.” Since ancient times Hindu and Buddhist priests have worn knots on a belt or carried a staff with knots by way of indicating their rank. These knots on a belt or rope belt can still be seen today, for example, as worn by certain orders of monks. In some ancient Hindu sects, they may also have indicated certain of the principal Nadis or chakras of the spine. The meaning of the name Socrates – Sokrates – is derived from sos, which means whole, unwounded and safe, and kratos, which means power. The construction of the Temple of Artemis, one of the “Seven Wonders of the Ancient World,” occurred during the Achaemenid Dynasty of Persia (c. 550-330 BC). An earlier temple on the site had been destroyed by a flood in the seventh century BC, the century that marked the beginning of the fourth cultural age; thus the Temple of Artemis that was rebuilt in 550 BC was certainly in accordance with the requirements of the new age. Some historians believe that King Croesus of Lydia (595-547? BC), noted for his great wealth, was instrumental in the rebuilding of the temple. According to the historian Herodotus, King Croesus had a discourse with Solon on the definition of happiness, a purely human subject that would be of great interest to Aristotle some two hundred years later. Since Solon counseled King Croesus personally, warning him of the fickleness of good fortune, he may also have given him guidance for the design of the temple. The temple would have been built by slaves and workmen under the authority of the chief priests, but the true architects would have been the sages. The original temple on the site by the Cayster River was that of the Meter Theon, the Mother of the Gods, and was established by the first initiate-king of Ephesus, Andoclus, ancestor of Heraclitus, perhaps as early as the tenth century BC. Here it is helpful to again point to the fact that, prior to the time of Christ, “the temple-sanctuary served as a dwelling place for the city-ego or group soul.” - see “Bilgames and Akka,” The Epic of Gilgamesh. At some point during the third cultural age, the age of the development of the “sentient soul,” the Mother goddess worship centered upon Cybele through the Phrygian people, a dominant people then occupying Anatolia. The sensual, ecstatic and frenzied forms of worship of this earth goddess would have been appropriate during the third cultural age, but certainly were part of the “ebbing stream from the East” by the time of Greece. The sculpted throne of Cybele depicted her attendant lions, and she held a tympanum or tambourine. Cybele has been compared with other goddesses, including Rhea, Demeter, the Babylonian Ishtar (Venus), and the Egyptian Isis. The myths associated with her offspring, Attis or Atys, bear a resemblance to the story of the dismemberment of Osiris. Attis has also been compared with the later Hellenistic Adonis, the god of vegetation who signifies the arising of life in spring, autumnal waning, winter death, and the rebirth or resurrection of the following spring. Thus Attis and Adonis are also connected with the Babylonian Tammuz, god of the tree of knowledge. According to spiritual science, through the Mystery of Golgotha, Christ, in His Life of three years in the sheaths of Jesus, re-enacted these ancient pagan rites of birth, death and rebirth, not within the secret mysteries and initiation processes, but openly, in actual physical life, for all to witness. The raising of Lazarus from the dead was in fact the old temple initiation performed publicly. Through the Sacrifice of Christ, the long centuries of preparation in the true Mystery schools of the Christ stream, related to the Sun Oracles, found their fulfillment historically, in the physical world. Christ, the Sun Spirit, gradually faded as the Life and Light of the ancient Mysteries, and descended and entered into darkness, into humanity, becoming the new group soul of humanity which is signified by the Lamb. “ I am the I am, Who was, and is, and will be... gradually became lost to the candidate for initiation... The candidate felt the Creative Word disappearing, sinking down into the Earth region and becoming lost to spiritual sight... This reappeared in such a way that it became visible in the Holy Vessel which is spoken of as the Holy Grail.” – Reference 1. The stories and legends of the Holy Grail revolve around the search for and the redemption of the Mysteries of the East. Perhaps this is why Heraclitus, in the first century AD, was described as “the weeping philosopher,” for he was aware of the Descent of Christ into humanity and the loss of the source and power of the Creative Word from the ancient temples. As late as the seventeenth century, Heraclitus was still portrayed as “the weeping philosopher” by the Dutch painter Johannes Moreelse. Such a picture of Heraclitus may still be living and perceptible in the Akasha Record. “...What confronts us in Greek philosophy clearly shows that its higher achievements were in truth ancient Mystery wisdom translated into terms of intellect and reason. There is a symbolic indication of this when we are told that Heraclitus offered up his work, On Nature, as a sacrificial act in the temple of Diana at Ephesus. This means that what the weaving of the ego in the ego enabled him to say was offered to the spiritual powers of the preceding epoch, with whom he knew himself to be connected.” – Reference 3. When the Ionians settled into Ephesus they gradually introduced the worship of Artemis alongside that of Cybele, and eventually the virtues, diligence, productivity and emphasis on nature (i.e., the honey bee) associated with Artemis or Diana displaced the licentious activities surrounding Cybele, at least in Ephesus. The Cybele cult continued long into Roman times and the Roman form of Mithraism may have sought to redeem this cult. Diana was depicted as a chaste and virtuous young girl, a patron of the hunt, with bow and arrow, accompanied by deer; she was associated with the moon, and her companions were water nymphs and woodland gods. The metal silver is connected with both Cybele and Artemis, and during the lifetime of Heraclitus the reigning Archangel was Gabriel. Gabriel, whose special colors are silver and white, is connected with the moon, with the Old Moon development of Earth, and with processes and forces of reproduction, particularly animal reproduction, signified by Ursa Major and her Little Bear. The statue of the Ephesian Artemis in the Archaeological Museum of Naples dates to the second century AD but is probably an accurate copy of the original, of which many variations exist. The statue is of black and white marble; the head, neck and hands are black. This signifies that the essence of Artemis is dual, both cosmic and earthly. The black stone can also be associated with cosmic origins through its identification with the meteorite, and can signify a mixture of earthly and cosmic matter, as a higher form of matter. Above the many breasts - signifying the mothering, nourishing and giving capacities of nature - can be seen a kind of garland consisting of what might be plant leaves and seeds or pods. Her crown appears to be a grain measure; her robe reveals her as the “Lady of the Animals,” decorated as it is with lions, leopards, deer, bulls, and numerous other animals. Near the bottom of her robe can be seen bees. If an outline of the outer edges of the statue is drawn, the shape revealed is that of a bee as though seen from above; turned horizontally the drawing appears somewhat like a fish, with the two feet resembling the tail fins. “The physical body of the woman has proceeded from the lion nature. The physical bull is the ancestor of the male body... Those who shared nothing of spirituality formed the modern lion, whereas those who did so developed the modern female body.” - The Four Group Human Souls. Heraclitus and Cratylus were contemporaries of Gautama Buddha (c. 563-483? BC), and the renunciation of existence is evident, like trace minerals, in the philosophy of Heraclitus, in what is stated about Cratylus by Aristotle, and in Plato's portrayal of Cratylus in the dialogue. Rudolf Steiner describes aspects of the philosophy of Heraclitus in The Temple Legend lectures: “If, in escaping from the earthly, you ascend to the free ether, with faith in immortality, you become an immortal spirit, free of death and of the physical.” Yet also evident from the few historic sources is social responsibility and a preparation for the future evolution of humanity. The Hibernian Mysteries had by this time dimmed, but across the Aegean Sea from Ephesus was Greece, Athens, the school of the Eleusinian Mysteries (with emphasis on nature and the interior of the earth), the Temple of Apollo and the Delphic Oracle. These were surely part of the life experiences of young Cratylus, who was influenced, for example, by the Lord whose oracle was at Delphi, who “neither speaks nor conceals but gives signs [gestures].” Plato captured certain characteristics of Cratylus: willing to speak cryptically in response to the queries of Socrates; unrelenting in regard to his standpoint on language; lips sealed firmly against revealing any of the Mysteries, much to the misunderstanding and annoyance of his friend Hermogenes. In the dialogue, Socrates asks Cratylus whether he is at least willing to “allow for the occasional substitution of a wrong letter.” Cratylus responds by saying: “I quite acknowledge, Socrates, what you say to be very reasonable,” but then adds, “There would be no use, Socrates, in my quarreling with you, since I cannot be satisfied that a name which is incorrectly given is a name at all.” Socrates, who had resorted earlier to falling back on his age (“Your argument, friend, is too subtle for a man my age.”), gives up momentarily at the end of the dialogue: “Then, another day, my friend, when you come back, you shall give me a lesson; but at present, go into the country, as you are intending, and Hermogenes shall set you on your way.” “Into the country” suggests that Cratylus may have been planning to visit Heraclitus. What did Cratylus experience through the Ephesian Mysteries? Cratylus, who insisted that all names should have meaning? He experienced the mysteries of the Sacred Word. “Let us look back into a time six or seven centuries or even earlier before the Christian era, in order to see what was done in this sanctuary so sacred to the ancients. We find that the instruction given in the Mysteries of Ephesus centered in the first place in that which sounds forth in human speech. ...The pupil was directed by the teacher to concentrate on human speech. Again and again the pupil was urged as follows: 'Learn to feel in your own instrument of speech what really takes place in it when you speak.' ...Again and again the pupil was directed to drive the greatest possible range of speaking through his throat, and at the same time to observe the surging up and sinking down which is to be perceived in the word which presses forth from the throat. He had to make a positive and negative assertion: 'I am – I am not.' This he had to force through his throat in the most articulate way possible, and then observe how, in the words 'I am,' the feeling of that which rises is predominant, while in the words 'I am not' the feeling of that which descends prevails. “...Man uses air to speak, but in speaking, the air transforms itself into the next element, into fire, into heat, and draws down the thought from the heights of the head and envelopes it.” – Reference 1. “...In these Mysteries, in order to equip itself to banish all the feelings of fear, anxiety, terror and horror known to man, the soul must first experience them to their very depths.” – Reference 3. “The soul of the pupil of these Mysteries had to be so trained as to acquire an all-embracing, universal feeling of compassion and of fearlessness. This was the ordeal to be endured by every soul in these ancient Mysteries in which Eabani participated when he appeared again in the incarnation lying between his lives as Eabani and as Aristotle. This too he experienced. And it arose again in Aristotle like a memory of earlier incarnations. He was able to define the essence of tragedy precisely because out of such memories there arose in him at the spectacle of Greek tragedy the realization that here was an echo, a reproduction carried outwards to the physical plane, of that Mystery training wherein the soul is purified through experiencing compassion and fear... And when what Aristotle had learned in earlier incarnations rose up in his personal consciousness, he was the one able to give the unique definition of tragedy which has become classic... Aristotle was communicating an ancient secret of the Mysteries when he said: ‘A tragedy is a weaving together round a hero of successive actions, which are able to arouse in the spectator the emotions of fear and compassion in order that a catharsis may take place in his soul.’ ” – Reference 3. Pherecydes of Syros lived in the sixth century BC, and is described by Rudolf Steiner as an individual who made the transition from the “imagination that penetrates through the picture, through the myth, to a form of reflection that wants to pierce the problems of man's existence and of his position in the world by means of thoughts...” “Pherecydes arrives at his world picture in a different way from that of his predecessors. The significant fact is that he feels man to be a living soul in a way different from earlier times. For the earlier world view, the word 'soul' did not yet have the meaning that it acquired in later conceptions of life, nor did Pherecydes have the idea of the soul in the sense of later thinkers. He simply feels the soul element of man, where the later thinkers want to speak clearly about it (in the form of thought) and they attempt to characterize it in intellectual terms.” – Reference 11. According to Aristotle in Metaphysics, Book 14, Pherecydes is a philosopher who, in his world view, combines the mythical with the non-mythical. Two ancient illustrations of Lao Tzu show him riding a bull. According to spiritual science, for example in The Gospel of St. John and Ancient Mysteries, there would have been, among these individualities, awareness of the existence of the brother, however distant from one another physically, and communications would have occurred among them spiritually, or “by night.” The expression “by night” in this sense is used in the Bible, in John 3:1-21, regarding the visit of Nicodemus to Christ Jesus. Thus it seems reasonable to infer from this that Heraclitus and Cratylus would have been powerfully moved by the Spirit of Gautama Buddha, in India, and the teaching of the rejection of life; the escape from an existence filled with sorrow; the escape from the “wheel of rebirth.” Considering the fact that the death dates of Gautama Buddha, Heraclitus and Cratylus are unknown, might Cratylus's death have just preceded or occurred at the same time as the death of Gautama Buddha, in 483 BC? Would Cratylus have witnessed and experienced this great spiritual event, the Ascent of the Buddha, both on earth and from the spiritual world? And did his teacher, Heraclitus, witness this death while still in earthly life, through spiritual communion with Cratylus? If Cratylus died around 483 BC, that is approximately one hundred years before the birth of Aristotle in 384 BC. And between death and rebirth Cratylus would also have experienced the great break in evolution that occurred at this time as a result of the working of the Sun Spirit who was preparing to descend into earthly life as the Christ. The individuality who was Cratylus would have undergone a metamorphosis from the Buddhist and Indian rejection of life, reflected in Cratylus's gestures of avoidance and contraction, to the eventual great expansion within Aristotle's soul and spirit that brought about his loving embrace of the animal world, the natural world and, first and foremost, of everything human. Aristotle undoubtedly prepared the way for Christianity, the way described by the historian and biographer of Aristotle, Werner Jaeger, as the Paideia, which roughly translates to education. “Buddha died in 483 surrounded by silver rays on a wonderful moonlit night, radiating peace and compassion. That was his last earthly hour. And then he was active again in the way described.” – Life Between Death and Rebirth. “We can think of no greater contrast than that between the Buddha and Socrates. The Buddha was to live on in the souls of his pupils, whereas in the souls of the pupils of Socrates nothing more was to live on than what the midwife has given to the child who comes into the world. Thus the spiritual element in the pupils of Socrates was to be drawn forth by the spiritual midwifery of Socrates when he left each person on his own, drawing forth from each one what was already there within them.” - The Gospel of Saint Mark. “Buddhism is a religion of liberation from existence; while Christianity is the opposite, a religion of rebirth upon a more spiritual level... Christianity sets before us as the mighty impulse for the forward evolution of the earth, the Christ, who pointed, in the strongest possible way, to the inner being of man... Not to bring the course of his incarnations to a close and enter Nirvana, but to use all he can of them to work further upon their results, so that he spiritually experiences resurrection.” - Buddha and Christ. “It is Christ who appears to Moses in the burning bramble bush and in the fire appearing under lightning and thunder at Sinai, when the pronouncement was received: I am the I am. He is in the fiery element. Fire is the element in which Christ lives. The corresponding inner process is the fire that pulsates through our blood in the form of body temperature. His warmth is in the lightning, His nerves in the air, His thoughts in the rolling thunder... The blood must be infused by a strong impulse toward the spiritual.” - The Principle of Spiritual Economy. Very little is known of Cratylus, but the books and publications about Hellenistic Greece and Aristotle and his contemporaries and collaborators would fill a library, so this portion of the article will avoid repetition, aim for conciseness, focus on what is new and lesser known, and continue to clarify the perspectives of spiritual science. The illustration of Aristotle is based on a Roman copy of an original Greek sculpture by Lysippos (c. 330 BC), located in the Louvre Museum in Paris. Lysippos was Alexander’s court sculptor. The Roman copy manages to capture a certain quality of the original, the quality of having been quickly, perhaps even spontaneously sculpted, an approach through which the portrait artist can often capture expressions and deeper aspects of character. In the fifth lecture of the series titled Aspects of Human Evolution, Rudolf Steiner stated: “Considering that everywhere in Aristotle one finds a distinct flaring up of the ancient knowledge so often described by us as having its origin in atavistic clairvoyance, it is rather odd that people who profess to read Aristotle today should ignore spiritual science so completely.” In these lectures it is also stated that Aristotle could not perceive the spiritual aspect of the stars, but instead founded a philosophy of the world of stars, interpreting what he saw physically. “In Aristotle everything appears as though in forms of logic - indeed, here one must say that the ancient wisdom has become abstraction, living worlds have been reduced to concepts. But in spite of this - because Aristotle stands at the terminal point of the ancient stream - something of the old wisdom still breathes through his works. In his concepts, in his ideas, however abstract, an echo can still be heard of the harmonies which resounded from the temple sanctuaries and were in truth the inspiration not only of Greek wisdom but also of Greek art, of the whole folk-character.” – Reference 3. And such abstraction, or the overlay of reason on ancient or atavistic clairvoyance, was the intent of the sages and founders of a science based in nature, which began in the period from the sixth to the fourth centuries BC, and for which Aristotle remains the best-known representative: that human beings should observe and study themselves and the surrounding natural world, including unseen qualities such as the origin of motion or the cause of happiness. In the fourth post-Atlantean cultural age, myths, oracles, omens, superstitions and the luciferic interference of the gods must gradually pale in the beautiful, supremely physical, sunlit existence of the Grecian natural environment and in the intellectual ideals for human behavior and the state. Although Aristotle had not been initiated, and the mysteries were at that time in decline, both he and Alexander participated in the still viable mysteries of the Samothracian Kabiri of northern Greece. This is detailed briefly in the section The Samothracian Kabiri and The Categories. In addition, Aristotle had been initiated in at least two of his prior lives: in the Hibernian mysteries connected with the life of Eabani, and in the Ephesian and other mysteries in the life of Cratylus. These experiences served his full descent into the human existence of Macedon and Greece, his complete embrace of physical existence. “When one reads Aristotle out of a certain inner meditative preparation, one has the feeling that he works directly in the physical human being. It is through Aristotle that the physical human being progresses one step further.” – World History. Aristotle became fully aware of the importance of Grecian culture for world evolution and the necessity of spreading this cultural influence to the boundaries of the known world. He granted that even barbarians could be Grecian if in step with the demands of the age. Alexander’s conquests were motivated in large measure by awareness of the mission of the cultural age, awareness that had been imparted to him by his teacher Aristotle. – see Note 4. In this pre-Christian age, war, conquest and the development of courage was the way of life; the younger culture must conquer and absorb the forces of the older, declining cultures. The Iliad, by Homer (ninth century BC), the great poet so admired by both Aristotle and Alexander, graphically depicts, after all, one battle slaughter after another, with the victors hailed as the greatest heroes, as demigods. “Homer makes men better than they are.” – Poetics. War characterizes the first half of Earth evolution, ruled by Mars, but healing characterizes the second half, ruled by Mercury. In the Samothracian Kabiri mysteries the pupil knew “that the form assumed by the first of the Kabiri [gods] through the mantric word and its power represented the reality behind Mercury; in the form assumed by the second Kabiri he learned the reality of Mars; and in that of the third Kabiri he learned the reality of Apollo, the Sun.” – Reference 1. Mars is also the source of the power of speech. Aristotle was a realist; he perceived that the majority of the human beings around him were still predominantly of an animal nature in their souls. While individuality or the ego was emerging in the privileged classes, the vast majority of human beings were, at best, still but part of a group soul or caste. A slave could only be a slave for life, a workman could only be a workman, not a philosopher. Women were inferior because they lacked physical strength and courage and could not go to war. If Homer depicted men as better than they were, Euripides (“Medea”) depicted women as they were. “It is beyond the power of ordinary people to make distinctions.” – Nicomachean Ethics. “On this subject of reasoning we found positively nothing said before us, but had to work it out by long and laborious research.” – Organon. Thus Aristotle founded his school, the Lyceum, for the scientific understanding and development of reason, for the study of animals, plants and the entire natural world; for the study of human behavior, individual, social and political, and for stressing the consequences of the failure to exhibit control and to develop morally. Deeper, esoteric reasons for the founding of this school are detailed in the section A Conversation Between Plato and Aristotle. “And when what Aristotle had learned in earlier incarnations rose up in his personal consciousness, he was the one able to give the unique definition of tragedy which has become classic.” – Reference 3. As noted in the Heraclitus and Cratylus portion of this article, Herostratus may also have harbored resentment and finally hatred for the fact that the esoteric mystery teachings were only for a select group and were forbidden to the general populace, including himself. Such problems can be seen stirring in Plato’s Cratylus and Theaetetus. By Aristotle's time the bestowal of names was no longer given through spiritual awareness, yet his own name would seem to indicate what has proven true of him: aristos meaning “best,” and telos meaning “purpose or aim.” His parents may have seen in their son the one who was best for a certain purpose, while unaware that Aristotle would fulfill such an essential role in establishing the direction for the entire western civilization. There are very few primary and secondary sources for information on the life of Aristotle (384-322 BC). One of the primary sources, subsequently lost, is Hermippus, who lived about one-hundred years after Aristotle. Diogenes Laertius (third century AD), in his biography of Aristotle in Lives and Opinions of Eminent Philosophers, drew from Hermippus: “Aristotle was the son of Nicomachus and Phaestias, a citizen of Stagira; and Nicomachus was descended from Nicomachus, the son of Machaon, the son of Aesculapius, as Hermippus tells us in his treatise on Aristotle.” Dionysius of Haricarnassus (first century BC) seems also to have drawn his information from Hermippus, in a letter in which he writes that Aristotle's father, Nicomachus, “traced his lineage and his profession back to Machaon, the son of Asclepius.” – see S. Stenudd. What is important here from the point of view of spiritual science, and that has apparently been overlooked by scholars and historians, is that Aristotle's lineage identifies him as a “Son of God,” which means divine descent. Asclepius was the Greek god of medicine and healing and his symbol was a staff with a single winding serpent. Again, “In the pre-Grecian age the spiritual leaders and guides of human evolution were called 'Sons of God,' indicating the divine origins of their creation and birth. The Greeks called these guides 'sages,' and in the post-Grecian age they were called 'saints'... thus indicating that the nature of those who were once Sons of the Gods had now become purely and essentially human.” – Reference 3. As well, Aristotle's birth into such a line of physicians and surgeons certainly contributed to his gifts and capacities for natural and experimental science. The sentence “He dissuaded Alexander from attacking Persia, telling him that the omens were unfavorable,” probably refers to the best timing for the attack on Persia, as counseled by Aristotle. This article will reasonably favor the side of Ptolemy based on what spiritual science reveals. In closely examining the connection between Cratylus and Aristotle as revealed by Rudolf Steiner, it is reasonable to seek for evidence of the life of Cratylus in Aristotle. Approximately one-hundred years separates these two lifetimes, a very short span as measured in time and space, yet marked by the immeasurable spiritual and evolutionary break between Gautama Buddha and Socrates. It will be discovered that a considerable amount of scholastic work has been done in the twentieth century regarding a possible youthful work of Aristotle, the Protrepticus, which means “exhortation,” or argument. Young philosophers were evidently required to prepare a protrepticus to be presented orally to listeners, perhaps in the form of a Platonic dialogue. 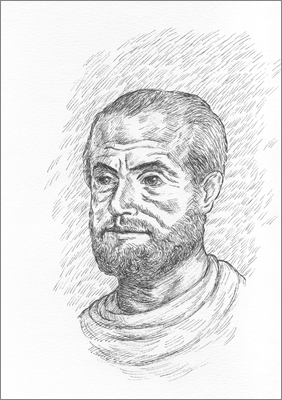 Aristotle's Protrepticus was first compiled by Iamblichus from various sources. Iamblichus's work was reconstructed by Ingemar Düring in the late 1950's, and what Düring refers to as his attempt at reconstruction of Aristotle's youthful dialogue was published in 1961. Continued provisional work on the Protrepticus has been done recently by D.S. Hutchinson and Monte Johnson and is available online. The dialogue has three persons: Isocrates, Heraclides and Aristotle. The above passage can be said to reflect the mystery teachings, the Heraclitean influence, Cratylus's withdrawal from life and Aristotle's embrace of the new way of insight, of philosophy. Some scholars may argue that the Neoplatonists paraphrased and added their own beliefs to the Protrepticus, in keeping with their concept of the “divine” Aristotle. However, the Neoplatonists’ reconstruction would have been as honest and truthful as possible, for they were enlightened men and may even have been initiated in the mystery teachings. In his 1965 biography, Aristotle, Founder of Scientific Philosophy, Benjamin Farrington errs on the side of modern materialistic thinking in his analysis of certain aspects of Aristotle’s philosophy, and fails to understand its content of eternal wisdom. Farrington writes that Aristotle made a “major error” in his geocentric view of the universe, but does not recognize that this concept of the universe is spiritual, not physical, and that the concept is moreover influenced by the mystery teachings of the third cultural age, the Egyptian, Babylonian and Chaldean cosmologies. In the spiritual understanding of the universe the earth and humanity are perceived as central, as seeds for the future, as seeds of a new universe. “Prior to reading Steiner, I would not have noticed the curious anomaly in the arrangement of the astronomical bodies: Earth, Moon, Mercury, Venus, Sun, Mars, Jupiter, Saturn and the Stars. As a physical scientist I’d have been inclined to scoff at this diagram as an artifact of the foolish, pre-Copernican, Earth-centered view of the Universe. But to Steiner this is an accurate map of the passage of the human spirit during the time between death and rebirth.” – Bobby Matherne, Book Review. Farrington writes of Aristotle’s “overeagerness as a systemizer – a disease of speculative thought which showed itself most strongly in his cosmology and his theory of the elements... particularly disastrous is his intuition of the fifth element, Ether, as a substance of the eternal heavens.” With the use of such words as “overeager,” “disease,” “speculative thought” and “disastrous,” the author writes from the illusory standpoint of the supposed superiority of modern thinking and discovery over and above ancient knowledge. While the spiritual scientific concepts of the etheric world do not compare perfectly with Aristotle’s “aether” or “quintessence,” they are close enough to what Aristotle perceived as a fifth spiritual or divine element beyond the four elements of earth, water, air and fire. It would go too far afield to continue to point out examples of the failures of modern educators and authors to truly understand those aspects of Aristotle’s philosophy that are based in ancient knowledge, in eternal wisdom, and are therefore valid for all time. “Wisdom is a union of science and intuitive reason in the fields of loftiest thought and purpose.” – Nicomachean Ethics. The following sections will delineate selected areas of Aristotle’s philosophy and his times and compare or elucidate them with spiritual science. However, Rudolf Steiner pointed out that there had been no attempt in his work to prove any concord between spiritual science and old philosophies: “You will have recognized that in my Occult Science an attempt has been made to produce the things out of themselves [supersensible perception]. Nowhere can one who really understands what is said find in any assertion about Saturn, Sun and Moon, that things are related from historical sources; they are simply drawn forth from the matter itself. Yet, strange to say, that which bears the stamp of our time corresponds in striking places with what resounds down to us out of the old ages.” – The Bhagavad Gita and the Epistles of Paul. In addition to the possible reference to Atlantis in the Protrepticus, is Aristotle known to have said anything else about Atlantis? There is no evidence that he denied the existence of Atlantis, but there is some evidence that he was critical of Plato’s concept of it, in Plato’s Timaeus and Critias. According to Strabo in his Geography, Aristotle compared Plato’s Atlantis to Homer’s Achaean wall, and said, “Its inventor caused it to disappear, just as did the poet the wall of the Achaeans.” Another version of this quote: “Plato alone made Atlantis emerge from the waves, and then he submerged it again.” Even today the strangest fantasies far outweigh the truth of what is surely a collective memory within humanity of the horrendous end of the great Atlantean epoch, a memory comparable to the expulsion from Paradise that occurred during the Lemurian great epoch. – see Atlantean Cataclysms. In Cosmic Memory Rudolf Steiner wrote, “The life mastering power of the Atlanteans first appeared among the members of our race under the mask of mythology... The great inventors among us are the incarnations of ‘seers’ of the Atlanteans... The aesthetic sense of the Greeks is built up on the basis of directly acting forces which among the Atlanteans were manifested in a magnificent breeding of plant and animal forms.” – see Note 5. “The fourth sub-race, the bearer of the Greco-Roman culture, was no longer directly influenced by Manu, but came under the influence of other cultures. It had a different mission... Art, the charming of spirit into matter, was the task reserved for the Greco-Roman race.” – At the Gates of Initiation Knowledge. “...In the Grecian age memories of the earthly experiences on Atlantis arose within the souls of the people.” – Universe, Earth and Man. “Aristotle still has something to say which is like a surviving echo of the three conditions.” – The Bhagavad Gita and the Epistles of Paul. The confluence of the three spiritual conditions or streams, the Vedas, the Sankhya philosophy, and Patanjali Yoga, are discussed in the Bhagavad Gita lectures. The Vedas concern unity and the evolution of the world, Sankhya concerns plurality, the human constitution and the dual nature of humanity, and Yoga the human soul and human evolution. Additionally, Vedas are the Word, Sankhya the Law and Patanjali Yoga the way of Devotion. If the complete works of Aristotle were available there would perhaps be found a balance of all three streams within them, while there might be a certain expansion and elaboration of the middle stream, Sankhya or the Law. The best way to organize Aristotle’s surviving works may be in accordance with the three streams. The various subject headings will be predominantly in one of the three streams with the other two streams also evidenced throughout the chapters or sections. From Lecture Two in the Bhagavad Gita series: “In the color teaching of Aristotle we have an echo of the old Sankhya philosophy.” For Aristotle “a color is green or greenish-yellow when light and darkness counterbalance each other, and reddish when light overrules dark.” From Meteorology: “In the inner rainbow the first and largest band is red; in the outer rainbow the band that is nearest to this one and smallest is of the same color. The other bands correspond on the same principle. They are almost the only colors which painters cannot manufacture, for there are colors which they create by mixing, but no mixing will give red, green or purple. These are the colors of the rainbow, though between the red and the green an orange color is often seen.” Ancient Grecian perception of color appears to be different from that of today. While there is very little of a personal nature in Aristotle’s work, an underlying mood or feeling of humility and reverence for the Creator and the wonders of nature and the soul are always evident, even when he is describing the darkest sides of human nature. The mood of Devotion is also apparent in the eulogy to his great friend Hermias, in passages of poetry, and, in his Will, in the request that statues should be raised in honor of the gods Minerva and Jupiter. “Now there came a very important turning-point, which is expressed very clearly and even historically in the transition from Plato to Aristotle... The following scene took place between Plato and Aristotle, at a time when Plato was very old, and really at the end of his earthly career. I must of course clothe in words what naturally occurred in a much more complicated way. Plato said to Aristotle somewhat as follows: ‘Many things I have told you and my other pupils may not have seemed correct to you, but what I have told you is really an extract of the most ancient holy Mystery wisdom. Human beings will, however, in the course of their evolution acquire such a form and such an inner organization, which will gradually lead them to something certainly higher than we now possess, but this will at the same time make it impossible for them to accept natural science in the way it is presented to the Greeks.’ Plato made this clear to Aristotle. ‘Therefore, I will withdraw myself for a time,’ said Plato, ‘and I will leave you to yourself. In the world of thought, for which you are so especially endowed, and which will become the thought-world of humanity for many centuries, try to build up in thoughts what you have learned here in my school.’ So Plato and Aristotle separated, and Plato therewith fulfilled, as commanded, a high spiritual mission through Aristotle. “I am obliged to describe this scene in this way; but if you look in the history books... it is there described: ‘Aristotle was always a headstrong pupil of Plato’s; so that Plato once said that though Aristotle was a gifted pupil yet he was like a horse that was trained by someone and then kicked its trainer with its hoof...’ That is the account given in the history books.” – Reference 1. “And there came the moment when through the influence of the Mysteries of the Kabiri there arose for Alexander and Aristotle something like a memory of the old Ephesian time which both of them had lived through during a certain century... But in this remembrance, in this historic remembrance of an ancient time, there lay a certain power to create something new. And from that moment there went forth the power to create a new thing, yet a strange new thing which has been little noticed by mankind. You must come to understand what was the real character of the new creation that went forth from the working together of Alexander and Aristotle... Now when the cosmic sounding in the Moon was there again and Aristotle and Alexander recognized what the fire at Ephesus had signified, when they saw how this fire had carried forth into the far ether of the world the content of the Mysteries of Ephesus, then it was that there arose in these two the inspiration to found the Cosmic Script. Only the cosmic script is not founded on abcdef. As our book writing is founded on letters, so is the Cosmic Writing founded on thoughts. Now there arose the letters of the Cosmic Writing. “If I now write them down before you they are as abstract as abcd: Quantity, Quality, Relation, Space, Time, Position, Activity (or Action), Passivity (or Suffering). There you have so many concepts. Take these concepts which Aristotle first expounded to Alexander and learn to do the same with them as you have learned to do with abcd. Then with [them] you will learn to read in the Cosmos.” – The Mysteries of Ephesus, The Aristotelian Categories. – see Note 6. “...For we can see how the expeditions of Alexander and the teachings of Aristotle had this end in view: to keep unbroken the threads that unite man with the ancient spirituality, to weave them as it were into the material civilization that was to come, so they might endure until such time as new spiritual revelations should be given... Both streams [Aristotle and Alexander] have lasted up to the very moment when it is possible to begin a renewed life of spirit.” – Reference 20. However, Haroun al-Raschid and the opposing forces that he represented did not want Christianized Aristotelianism, only the teaching of natural science that has gradually assumed the form of today’s scientific materialism, devoid of any true concept, any reverence for divinity and the Creation; devoid of spiritual science. “Henceforth, Aristotle must work – Aristotle who already in antiquity was equal to the concepts and ideas of the fifth post-Atlantean age.” – Karmic Relationships, 1924. 1. In the book Rudolf Steiner's Mission and Ita Wegman (Die Menschheitsaufgabe Rudolf Steiners und Ita Wegman), by Erich and Margarete Kirchner-Bockholt, it is revealed that, shortly before his death, Rudolf Steiner gave to Ita Wegman a written note listing five of his past lives: Eabani, Cratylus, Aristotle, Schionatulander, and Thomas Aquinas. Margarete Kirchner-Bockholt discovered the note in a book. The note also revealed that Ita Wegman had been Gilgamesh, “Mysa,” and Alexander the Great. The Brunnen von Christus series of articles will offer a concise anthroposophical study of these individuals and the times in which they lived. 2. A contribution from James Gillen: “I was thinking earlier today of a Luke source variant of the Lord's Prayer in a footnote to the Oxford English Bible which reads: “May the Holy Spirit descend upon us and cleanse us.” I assumed that this was specifically rejected due to its association with all the other Gnostic influences redacted in the Constantine official Church – but then it came to me that this was really related to the Essenes. When I read that the “Essenian roots are very ancient,” I immediately thought of John Baptist and Jesus together in Essene communities – connecting with what was still vital and pure in the core of what could be experienced there. And specifically in relationship to the Holy Spirit verse – which I had always felt was meant as a secret teaching/experience of the transition from the first section of the Lord's Prayer (three petitions) and the second section (four petitions) – this is about bringing the night (first section) into the day (second section). Therefore this also links to the “communications by night” thread as well, for which, of course, the conversation with Nicodemus is a sterling example of the archetype of a process, for which we can assume Nicodemus, addressed by Christ Jesus as a Teacher of Israel, was prepared by the Essenes. 3. The connection of Lao Tzu with Mani was noted in the fourth century AD by a Taoist priest named Wang Fu, who composed a work titled Scripture of the Conversion of the Barbarians. The book was controversial, especially among Buddhists, and more was added to it over time. From a post ninth-century edition “...we find the story of Lao Tzu forecasting at the assembly of P'i-mo in 1028 BC his many future manifestations, one of which will take him to the country of Su-lin where he will become Mani.” - Notes are taken from the book Manichaeism in the Later Roman Empire and Medieval China, a Historical Survey, by Samuel N.C. Lieu, published by the Manchester University Press, 1985. Certain contemporary Manichean sects of Gnostic Christianity, i.e., the Nazorean Essenes, regard Lao Tzu as an incarnation or manifestation of Mani. 4. Very much in tune with far later times, the young scientist and explorer, Stephan A. Schwartz, set out in 1979 to find the tomb of Alexander in Alexandria, Egypt, using the combined abilities of several gifted psychics. Just prior to this group exploratory work, which he called The Mobius Group, Schwartz visited a historian at Oxford, Peter Fraser, author of the three-volume book, Ptolemaic Alexandria. He asked Fraser what he thought of the idea of Alexander as a man driven by a mystic vision. Fraser responded, “I think the great achievement is military... The visionary aspect, the cultural aspect, in which he had enormous significance – because of what he achieved in a military sense – is secondary, in my opinion, to his own personality. What Alexander achieved in a military sense altered the face of the world, but whether this is what he intended...” Fraser shook his head. “I believe he did not intend a great cultural revolution. What he sought was what he achieved – the destruction of the Persian ruling house, and the Persian army. Up to that point of the destruction of the Persian army it seems to me a mistake to see anything beyond a military purpose.” “But why,” I asked, “did he continue after he had succeeded, after he had seen Darius dead?” “Ah, the great enigma: Why? Why, when he had conquered the Persian army in 331 did he not then retrace his steps and go back to Macedonia? Why did he go on in a series of long and difficult operations that took him across the Indus... performing no very significant military operations. Ultimately, it's a question we cannot answer with assurance.” - From The Alexandria Project, Stephen A. Schwartz, Delacorte Press, 1983. 6. James Gillen placed ten of Aristotle’s Categories on the ten branches of the Tree of Life, or Tree of Sephirot. This chart is available online as James Gillen has included it as a contribution to the book, The Writing of the Heart. See Brunnenvchr.org. 7. The translation of Plato's Cratylus is by Benjamin Jowett. From the Classics Online at Classics.mit.edu/Aristotle: On the Heavens, translated by J.L. Stocks; Meteorology, trans by E.W. Webster; On the Soul, trans by J.A. Smith, and The Athenian Constitution, trans by Sir Frederic G. Kenyon. Politics, Metaphysics, Nicomachean Ethics, and Organon are quoted from Aristotle: On Man and the Universe, Classics Club Edition, edited by Louise R. Loomis, 1943. 8. Special thanks are extended to Mark Haberstroh, Robert S. Mason and James Gillen for reading and offering comments and suggestions for this article. Mystery Centers, Lectures by Rudolf Steiner, 1923. Rudolf Steiner's Mission and Ita Wegman, Erich and Margarete Kirchner-Bockholt, Rudolf Steiner Press, United Kingdom, 1997. Occult History, Lectures by Rudolf Steiner, 1910. The Sacred Bee in Ancient Times and Folklore, Hilda M. Ransome, Dover Books, 2004. The Secret Doctrine, by H.P. Blavatsky, Volume II, 1888. Christianity as Mystical Fact, Book by Rudolf Steiner, Rudolf Steiner Publications, New York, 1961. Available on the internet on the Rudolf Steiner Archives. Manifestations of Karma, Lectures by Rudolf Steiner, 1910. The Apocalypse of Saint John, by Emil Bock, Floris Books, 2006. The Temple Legend and the Golden Triangle, from The First Esoteric School, Rudolf Steiner, 1904-1914, Etheric Dimensions Press, 2005. The Temple Legend, Lectures by Rudolf Steiner, 1918. The Riddles of Philosophy, Book by Rudolf Steiner, The Anthroposophic Press, 1972. Available on the Rudolf Steiner Archives. The Writing of the Heart, Brunnen von Christus Group, 2008. Available on the internet. The Four Group Human Souls, Lectures by Rudolf Steiner, 1908. Early Christianity and Greek Paideia, by Werner Jaeger, Harvard University Press, 1961. The Gospel of Saint Mark, Lectures by Rudolf Steiner, 1910, 1911. Buddha and Christ, Lectures by Rudolf Steiner, 1909. The Gospel of Saint John and Ancient Mysteries, Lectures by Rudolf Steiner, 1906. The Principle of Spiritual Economy, Lectures by Rudolf Steiner, 1909. Aspects of Human Evolution, Lectures by Rudolf Steiner, 1917. World History and the Mysteries in the Light of Anthroposophy, Lectures by Rudolf Steiner, 1910. Dionysius of Haricarnassus Letter from Stefan Stenudd, Online at Stenudd.com, 2009. Aristotle, Volume 7 (Classical Political Thinkers Series), by John B. Morrall, Routlidge Publishers, 2004. Theory and History of Ontology, A Resource Guide for Philosophers, by Raul Corazzon, Online at Formalontology.it, 2009. Aristotle, Protrepticus, Provisional Reconstruction, by D.S. Hutchinson and Monte Johnson, PDF File Online, January, 2009. Aristotle, Founder of Scientific Philosophy, by Benjamin Farrington, F.A. Praeger Publisher, 1969. A Reader’s Journal, Book Review of Life Between Death and Rebirth, Lectures by Rudolf Steiner, 1913, by Bobby Matherne, Online at Doyletics.com, 2009. Aristotle, Rhetoric and Poetics, Introduction by the Editor, Friedrich Solmsen, The Modern Library, Random House, 1954. Cosmic Memory, Prehistory of Earth and Man, Book by Rudolf Steiner, 1904. At the Gates of Initiation Knowledge, Lectures by Rudolf Steiner, 1906. Universe, Earth and Man, Lectures by Rudolf Steiner, 1908. An Outline of Occult Science, Book by Rudolf Steiner, 1910. The Bhagavad Gita and the Epistles of Paul, Lectures by Rudolf Steiner, 1912. The Mysteries of Ephesus, The Aristotelian Categories, Lecture Four of The Easter Festival in Relation to the Mysteries, 1924. Karmic Relationships, Volumes III, VIII, Lectures by Rudolf Steiner, 1924. Many of the lectures cited, as well as the books by Rudolf Steiner, are available Online on the Rudolf Steiner Archives. The Archives are at rsarchive.org.